The slides from our presentation are also posted on SlideShare. Next year is the 30th anniversary of the amazing community that is CSUN. I am already looking forward to attending. It is invigorating and inspiring to be sharing space and information with thousands of people committed to digital inclusion. Thank you to everyone who came to our presentation and who reads this post. Thank you to everyone who is using the law in a variety of ways as an agent for protecting and expanding the rights of people with disabilities. 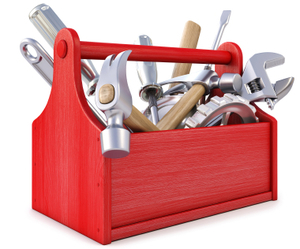 Law is a tool in every advocate’s toolbox. Whether you are a screenreader user writing to a website owner about a digital barrier, or a corporate champion trying to convince your manager to build in accessibility, you are an advocate and the law is your ally. That’s why we do the annual legal update at CSUN! There are different ways to use the law – different legal tools that have been effective in the past year advancing usability for all. These legal tools include Structured Negotiations, litigation and administrative complaints to the United States Department of Justice. There are different ways to talk about the law – various tools of language. Law can be described as a threat and as a requirements checklist. The language of the law is also one of inclusion and civil rights. Of good business practices and smart decision-making. In our presentation we emphasized the civil rights aspects of this year’s legal developments. I for one have stopped waiting. Yes, every six months or so the DOJ puts out its “regulatory agenda” stating when the Notice of Proposed Rule Making is expected. There’s now a date for April 2014. But the Advanced Notice was in 2010! And remember, that date is for the Notice of Proposed Rule Making, a document that will trigger another round of comments and waiting. The Department of Justice participated in the H & R Block and the Louisiana Tech cases discussed below. In both, the Department negotiated settlements required WCAG 2.0 Level AA conformance for digital content. The disability community, industry, and all ADA covered entities deserve web and mobile accessibility regulations for the private sector and state and local government. But don’t expect them any time soon. Section 508 regulations have been so long delayed that they might actually come out soon. Finally embracing WCAG 2.0 Level AA for federal procurement will be a boon to federal government accessibility; the real challenge will, as always, be enforcement. We also touched on Section 503, a federal rule to improve job opportunities for individuals with disabilities. The final rule was adopted last August and becomes effective on March 24, 2014. Read more about Section 503. Unfortunately, the new regulations fail to require federal contractors to make their online application systems accessible. They do state that online application accessibility is a “best practice” and that reasonable accommodations are still required in connection with application barriers. Read more about online applications and Section 503. There was another presentation at CSUN about CVAA regulations so we didn’t spend too much time on FCC activities. We did mention the new caption quality standards, which are an important advance in accessibility for people who are deaf and hard of hearing. You can find the FCC’s February 2014 Closed Captioning Quality Report and Order, Declaratory Ruling, FNPRM on the FCC website. Just in time for our presentation, the National Federation of the Blind announced a comprehensive settlement between the U.S. Department of Education, Office of Civil Rights and the University of Montana requiring accessibility and usability for blind students in all aspects of campus life. The agreement is broad in scope and covers everything from classroom technology to course management systems to textbooks. 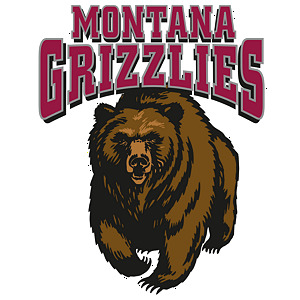 Read the press release about the University of Montana settlement. In January 2014 a blind veterinary student at the University of Miami in Ohio filed a lawsuit because inaccessible course materials prevented her from getting the education she needed to pursue her dream of becoming a veterinarian. The case is pending. Read the press release about the University of Miami case. Since last CSUN the University of California Berkeley reached a settlement with its disabled students. The settlement, reached through Structured Negotiations, addresses the needs of students with print disabilities to obtain accessible course and library materials in a timely fashion. The students were represented by Disability Rights Advocates in Berkeley, California. Read the UC Berkeley accessibility press release. A lawsuit against the PARCC – the Partnership for Assessment of Readiness for College and Careers – was filed and settled within the first two months of 2014. The settlement ensures that K-12 assessments are accessible to blind students. Read the NFB’s PARCC settlement press release. The right to vote is a core civil rights principle. This year there was a very important voting rights decision with broad implications for people with disabilities. In October 2013 a federal judge in California ruled that Alameda County must ensure that blind and visually impaired voters are able to vote privately and independently during elections. 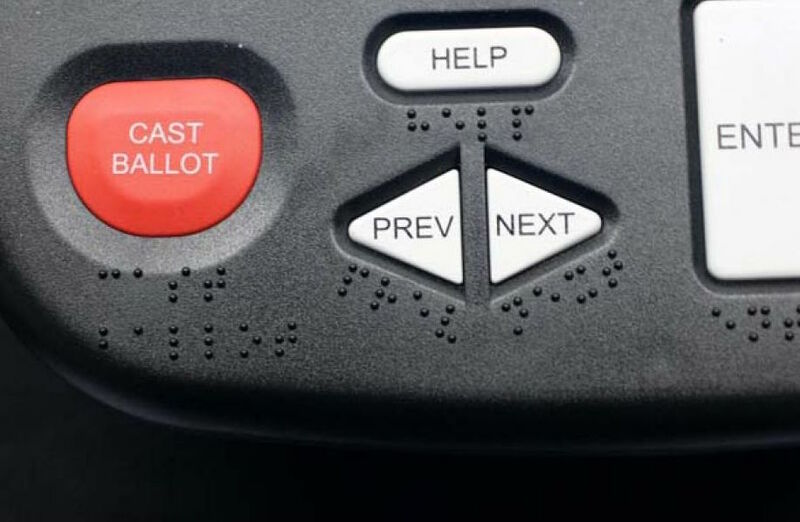 Alameda County had purchased accessible voting machines that blind people could use. But the county failed to maintain the machines and they weren’t working on the one day that it mattered most — election day! The county offered to assist blind voters in casting their ballots. The court wisely ruled that such assistance does not provide the core voting experience: the right to cast a secret ballot. Our presentation included three developments in the world of financial privacy. The financial industry has been on the forefront of digital inclusion ever since we announced our first Talking ATM agreements in 1999. In 2000 Bank of America became the first institution to work with its blind customers to ensure the accessibility of its online banking platform. This year’s developments continue to recognize that accessibility and usability are necessary to ensure private access to confidential financial information. The biggest news this year is the March 2014 settlement between H&R Block and the United States Department of Justice in a case filed by the National Federation of the Blind and blind tax filers Mika Pyyhkala and Lindsay Yazzolino. The settlement is noteworthy for covering the tax giant’s websites and mobile applications, and for adopting WCAG 2.0 Level AA as the standard. $55,000.00 in civil penalties were assessed against H&R Block, and the individual plaintiffs received payments of $22,500.00 each. Read the DOJ press release announcing the H&R Block settlement. Read the H&R Block settlement agreement on the DOJ website. In July, 2013 an accessibility initiative agreement was reached with Square, a developer of mobile payment applications. Negotiated by the Law Office of Tim Elder on behalf of the NFB of Massachusetts and an individual Square customer, the agreement addresses the accessibility and usability of the companies mobile applications. Read the Square accessibility agreement. Bank of America has long been a champion of accessibility and usability for its customers with disabilities. Just after last year’s CSUN, Linda and I announced the company’s most recent commitment to digital accessibility. In a new agreement with the Bay State Council of the blind and individual bank customers, Bank of America agreed to enhance the accessibility of security services on both its website and iOS mobile applications. Read the post on this website with the B of A press release. Read the B of A security features settlement agreement. Late breaking news can provide information that is critical to matters of life or death. When the Los Angeles hills burst into flames in 2010, members of the Los Angeles deaf community tried to obtain the latest news updates on the progress of the fire and whether they would need to evacuate their homes from CNN.com, which provides more frequently updated local news than CNN broadcasts on television. CNN, however, did not caption the news videos on CNN.com. Greater Los Angeles Agency on Deafness and several individuals filed a lawsuit against CNN after CNN didn’t respond to letters they sent asking for captioning of video clips and breaking news on CNN.com. The plaintiffs are represented by Linda’s firm, Goldstein, Borgen, Dardarian & Ho and by Disability Rights Advocates. The plaintiffs brought a claim under California’s Disabled Persons Act, which is essentially the state equivalent to Title III of the ADA. In response, CNN asked the court to throw out the case. CNN raised several arguments, including that requiring it to provide closed captioning would violate its First Amendment rights. The trial court refused to throw out the case and CNN appealed to the Ninth Circuit Court of Appeal. The Ninth Circuit rejected CNN’s First Amendment argument, and held that closed captioning is “content neutral” – it doesn’t change the speech that CNN chooses to put on its website. Also, instead of restricting CNN’s speech, closed captioning would merely make CNN’s speech accessible to people with hearing disabilities. In February 2013 a blind employee sued the Marriott hotel chain because the software he needed to do his job was not designed to be accessible to and usable by employees who use screen reader software. 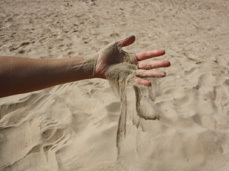 The case, challenging Marriott’s decision to use inaccessible Siebel Customer Relation Management software, is pending in California federal court and being fiercely defended by the company. Read a news article about the Marriott case. Stay tuned for more developments in the coming year in this case, being handled by the Law Office of Timothy Elder and the San Francisco based Legal Aid Society – Employment Law Center. Similar issues are raised in a suit filed by a blind attorney against his employer, the Department of Homeland Security’s Customs and Border Protection division. Again, inaccessible software stands in the way of the employee and his work. The case is pending and, disappointingly, the federal government has moved to have the case thrown out of court. Joseph Espo of the Baltimore, MD firm of Brown, Goldstein & Levy is representing the employee in the litigation. Read the press release about the Homeland Security case. Everyone deserves independent access to confidential health and wellness information. In the digital age, this right impacts not just privacy, but also health and safety. The image illustrating this concept in our slide presentation and this post is two pill bottles with empty labels. When blind people are not given prescription information in accessible formats, it is akin to providing a prescription with no label at all. There were three legal updates regarding the rights of people with disabilities to confidentially access health-related information. Fortunately, one addresses the critical need for accessible prescription information. On the first official day of CSUN, CVS/pharmacy announced that it is now providing talking prescription labels for customers with visual impairments who order prescriptions through cvs.com mail order. CVS is offering the ScripTalk labels, part of Envision America’s ScriptAbility system. Devices that read the ScripTalk RFID labels are available free of charge from Envision America. The talking labels are critical to the safety of prescription medication for people who are blind. CVS’ initiative is the result of Structured Negotiations with the American Council of the Blind, its California affiliate, and the American Foundation for the Blind. Linda and I represented the blind organizations. Read the CVS talking prescription press release. 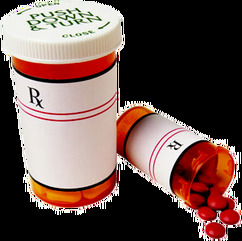 CVS joins Walmart in offering talking prescription labels, another Structured Negotiations initiative announced in 2012. Read about Walmart’s talking prescription program. In February 2014 WellPoint, one of the country’s largest health benefits companies, announced a comprehensive accessibility initiative impacting its websites, mobile devices and print information. Among other endeavors, WellPoint operates Blue Cross entities in many states, including Anthem Blue Cross in California and Empire State Blue Cross in California. WellPoint worked with two blind plan members in the Structured Negotiations process and adopted WCAG 2.0 Level AA as its web and mobile standard. The company also agreed to strengthen its alternative format program to ensure that health information offered in standard print is also available in braille, large print, audio and electronic formats. Read the WellPoint accessibility press release. Read an interview with Linda Dardarian about the WellPoint accessibility program. In June 2013 Weight Watchers announced a comprehensive accessibility initiative to ensure that people with disabilities have full access to the company’s acclaimed weight loss tools and information. Weight Watchers, working through Structured Negotiations with the American Council of the Blind and individual Weight Watchers members with visual impairments, has adopted WCAG 2.0 Level AA for its web and mobile standard and is offering print materials in a variety of accessible formats. Training of meeting room and technical staff is also part of this groundbreaking agreement, negotiated with Weight Watchers by Linda Dardarian and Lainey Feingold. Read the Weight Watchers press release. In our presentation we updated important pending litigation about the right to read. The HathiTrust is a repository of digitized books maintained by a consortium of universities in the United States and abroad. Visit the HathiTrust website. Sadly, the Authors Guild has sued the Trust claiming that digitized books, which are fully accessible and available to people who are blind or otherwise print disabled, violate U.S. copyright laws. The National Federation of the Blind, represented by attorney Dan Goldstein of the Baltimore MD law firm Brown, Goldstein & Levy, has entered the case arguing against the Authors Guild. In December 2013 Safeway issued a press release announcing it had adopted WCAG 2.0 Level AA as the accessibility standard for its online grocery delivery site. 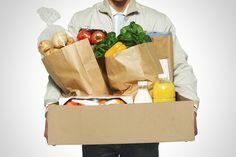 As one of the largest grocery delivery sites in the country, Safeway’s announcement should be welcome news to shoppers everywhere. Does your grocer have an online shopping site? Let them know about this announcement and let’s make grocery delivery sites accessible everywhere. The Center for Accessible Technology (CforAT) in Berkeley has an ongoing project in front of the California Public Utilities Commission to ensure that ride-sharing services in the state include the needs of people with disabilities in all aspects of the services. Because of the CforAT initiative, ride-sharing companies such as Lyft, Uber and Sidecar have agreed to make their websites and mobile applications accessible, although problems continue with insufficient accessible vehicles for wheelchair users. Read the San Francisco Chronicle story about disability access issues and ride-sharing services. Increasingly taxis have payment systems in the back seat that allow riders to pay with a debit card and provide other information. When those devices are not designed with accessibility features, blind riders and others with disabilities must either disclose confidential financial information such as a PIN, or forego the service. The blind community in Massachusetts is working on this issue and similar advocacy is occurring around the country. Read the 2012 New York Post article about accessible taxi payment systems. We reported about two issues regarding the rights of people with disabilities to digital accessibility in the world of retail. More and more retail transactions are conducted each year without human interaction. The Redbox self-service DVD distribution kiosks are one example of a growing trend. In 2012 the San Francisco LightHouse for the Blind and others sued Redbox because the kiosks cannot be used by blind customers. The case is pending, but the parties are discussing settlement. Stay tuned for a possible announcement this year. Read about the Redbox law suit, filed by Disability Rights Advocates. Shortly before CSUN began we learned that a class action suit had been filed against Apple in connection with the point of sale systems in use in the Apple retail stores. There have not yet been any developments in the litigation, which was filed by a law firm in Florida on behalf of a blind Apple customer. Read a news article about the new Apple law suit. Thank you for being interested in legal developments in digital accessibility. If you think there is something missing from this year’s summary, or have questions about any of the information presented here, please contact us. This post talk about recent developments in the law relating to access to web sites for people with disabilities. In the last year the law helped to make sure disabled people could use web sites and other technology. Many blind students used the law to make sure they can read the books they need to succeed in school. There is a legal right to digital and print information. Some other examples are discussed in this post. CVS agreed to offer talking pill bottles to blind pharmacy customers. The United States Department of Justice settled with H & R Block so tax information would be available to all people, not just those who can see. The law helped make applications on mobile devices accessible and usable for everyone. Weight Watchers agreed with blind members to offer their digital and print information in a way that everyone can use. A big health insurance company named WellPoint agreed to make all information accessible to blind members. These and other issues were discussed by Lainey Feingold and Linda Dardarian when they spoke at the CSUN conference in San Diego. Return to Digital Legal Update post.